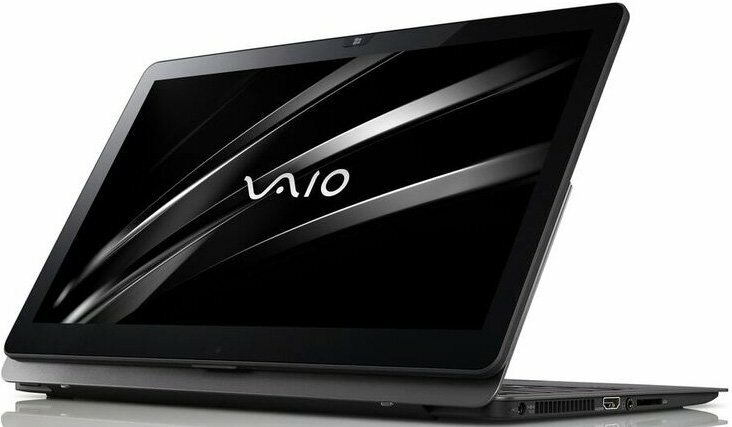 Sony stopped launching new laptops under the brand name of Vaio. They then started to concentrate their business on Android smartphones. But now the situation changed. Sony started launching Vaio laptops again that resembles the same kind of designing and features as the old ones. Under the Vaio brand, Sony introduces two models. One features the hybrid model or flip model and the other one is clamshell styled model. Both the laptops are intended on business users. Flip model and clamshell models works on Intel processor which is of 6th generation. The 28W Intel Skylake processor powers the device. The display is features by a screen with 13.3 inched edge to edge.The clamshell model comes with two display options. They are loaded with a screen resolution of either 1920*1080 pixels or 2560*1440 pixels. But the flip model or hybrid version is loaded with a screen resolution of 2560*1440 pixels. Vaio Z Clam VJZ131X0211S is the cheapest model among the new launch. This device is tagged with a price of $1499. Vaio Z Clam is powered by Intel Core i5-6267U processor. This processor is again loaded with 8GB LPDDR3 1866 RAM and 256GB PCIe Solid State Disk storage. The display is featured by 1920*1080 pixels resolution. The communication is provided by 802.11ac WiFi which is also supported by Bluetooth of v4.1. This device is also loaded with two USB ports of v3.0. Vaio Z Clam also features HDMI output and SD card slot. The device functions on 64-bit Windows 10 Home and can remain alive upto 15.5 hours. Vaio Z Flip VJZ13BX011B is loaded with high grade configuration and is tagged with a price of $2399. The Intel Core i7-6567U processor powers the device. This device is loaded with a RAM of 16GB and has storage of upto 512GB SSD. The 64-bit Windows 10 Pro keeps the device functioning. The battery can last upto 11 hours when it is fully charged. Vaio S model is loaded with a screen of size 13.3 inches with a screen resolution of 1920*1080 pixels. The external case is made of high grade magnesium alloy which is durable and strong. This case again strengthened by adding ribs at major points. Vaio S is loaded with improved keyboard and touchpad. This device is loaded with Intel Core i7-6500U processor which is loaded with a RAM of 8GB. The storage is managed by 256GB SSD. On connectivity side the device is loaded with 802.11ac WiFi and Bluetooth of v4.1. Vaio S is also loaded with USB ports of v3.0, HDMI port, SD card slot and VGA output. The 64-bit Windows 10 Pro makes the device functioning. Vaio Z Flip will be launched to the market by February. All other models will be showcased by the initial weeks of March.